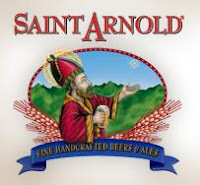 Saint Arnold Brewing is hosting an American Homebrewers Association rally on Sunday, February 28th from 1pm ~ 3pm. Entrance to the event includes beer samples, hot dogs, brewery tour and a chance to win prices from the AHA and Saint Arnold. Entrance is free for current AHA members and non-members can gain entrance by joining for a discounted rate at the door. Space is limited and you are asked to RSVP online if you plan to attend. To learn more about the American Homebrewers Association and what a membership can do for you, see the Membership Benefits on their website.